IN STOCK NOW - A mid-level field hockey shoe with excellent cushioning and comfort. 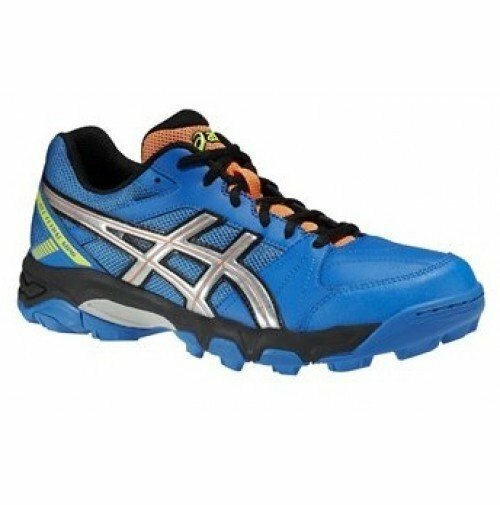 Description A great midlevel field hockey shoe the GEL-LETHAL MP6 offers excellent cushioning and comfort. The Rearfoot GEL Cushioning absorbs shock and allows for a smooth transition from the landing of your foot to midstance. The Trusstic System in the sole reduces the shoes weight while the California lasting ensures a stable and comfortable platform.